Celebrate the Month of Love at Our Award-Winning Inn! Oak Hill at Love Lane is the Recipient of the TripAdvisor Travelers’ Choice Award for the Second Year in a Row! Oak Hill on Love Lane Bed and Breakfast is delighted to be recognized on a national level again this year! 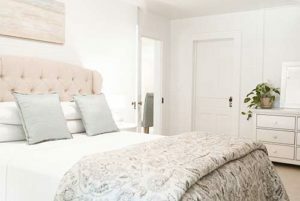 For the second year in a row, Oak Hill has been included in the Top 25 Bed and Breakfasts in the United States and has been awarded with Trip Advisor’s 2019 Travelers Choice Award! We take pride in the unique experiences and luxury setting we curate for our guests and we’re passionate about connecting with each of our visitors. We have our wonderful guests to thank for the time you took to share your experiences at Oak Hill this past year! We look forward to spending another year helping you to create world-class travel adventures here in Western North Carolina. On February 14th… Spoil your valentine with a four course dinner at the Wine Seller, featuring live music by Joe Cruz and a gourmet menu designed and cooked by master chef Michelle Briggs! Then come back to your cozy room at Oak Hill to enjoy your complimentary 8 piece box of handmade chocolate truffles from our local main street chocolatier, The Dillsboro Chocolate Factory! Our Valentine’s Month Package is available every weekend in February and includes a luscious beer and chocolate tour from Leap Frog Tours, a $75 gift card for a romantic dinner either at Frogs Leap Public House or Chef’s Table and a basket of locally handmade sweet treats! The Chocolate and Beer Lovers Tour offered by Leap Frog Tours explores humanity’s deep and abiding love for these two treats. Whether you prefer white chocolate or a rich dark chocolate truffle, Leap Frog’s got you covered. Enjoy a box of goodies from Baxley’s Chocolates in Sylva, NC, and pair your chocolates with beer from our stops at BearWaters Brewing Company, Blue Ridge Beer Hub, and Boojum Brewing Company. This package is an “add on” to your stay at Oak Hill. The price of the package is $195 and is available every weekend throughout the entire month of February. Book through Oak Hill at Love Lane and get direct transportation from the inn to your tour locations, and then back again or to the location of your choosing! Complimentary Chocolate Truffles for all 2 night reservations between 2//8/19 and 2/15/19! We are including a free box of 8 locally handmade truffles from our new local chocolate store partner, Dillsboro Chocolate Factory. Make your next reservation by 2/1/19! We love our return guests and want to show you some love in February and all year long! When return guests book a February, two or more night stay, you will receive 25% off standard rates! Book a two or more night stay for any other month (excluding October) and receive 10% off standard rates! These deals won’t last long, so take advantage of this special offer. Call or book online by 2/1/19! When booking online, go to Oak Hill Reservations, and use special rate promotional code Return19. This offer is only available to guests that have stayed at Oak Hill in the past 5 years, verifiable on our reservation system, applies to new reservations only, and cannot be combined with other discounts or gift certificates. Interested in booking your charming Valentine’s getaway or planning your return to Oak Hill on Love Lane? Contact us to learn more! This entry was posted in Events, General, Seasonal, Things to do by admin. Bookmark the permalink.